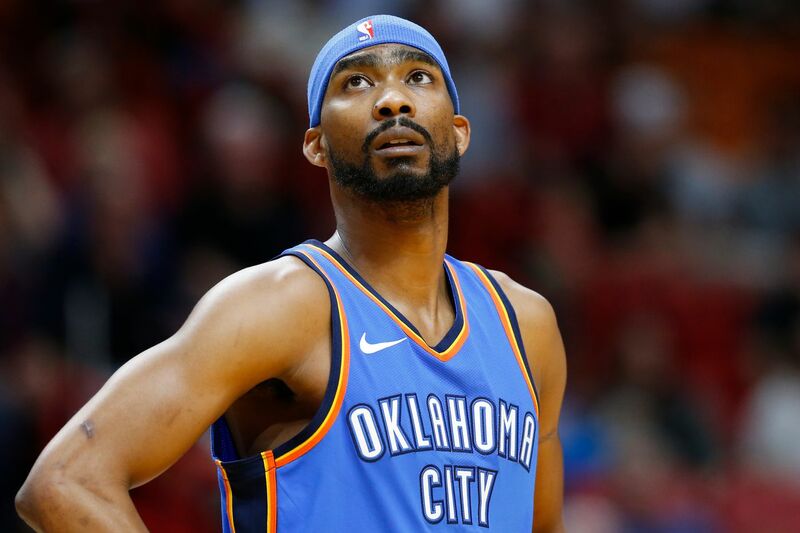 Corey Brewer is the newest 76er. The team signed him to a 10-day contract Tuesday after he competed in a workout with Jodie Meeks, Brandon Rush, and Jamel Artis on Monday. The 6-foot-9 swingman entered Tuesday night’s game against the Minnesota Timberwolves at the Wells Fargo Center in the fourth quarter, scoring three points in eight minutes. “For me, I just love playing basketball,” Brewer said. “I wanted another opportunity. I felt like I did enough last year that I should be on a team. Sometimes things don’t work out the right way." That’s why he’s looking forward to his opportunity with the Sixers, even if it is a 10-day deal. “I got to prove myself,” he said. A player can sign a maximum of two consecutive 10-day contracts with the same team before that squad must either sign him for the remainder of the season or release him. Brewer has played in the NBA for 11 seasons. The 32-year-old finished last season with the Oklahoma City Thunder after being waived by the Los Angeles Lakers on Feb. 28, 2018. He averaged 10.1 points in 18 games with 16 starts for the Thunder. He averaged 8.9 points in 783 career games heading into Tuesday night. The Timberwolves selected him with the seventh overall pick of the 2007 draft out of Florida. He also had stints with the Dallas Mavericks, Denver Nuggets, and Houston Rockets. He was a member of the 2010-11 Mavericks squad that won the NBA title. Brewer also helped to lead the Gators to back-to-back NCAA titles in 2006 and 2007. He said he thinks that he can fit in well the Sixers. Brewers knows that Joel Embiid, Jimmy Butler, and Ben Simmons are the stars. Meanwhile, JJ Redick is the team’s sharpshooter. “I’m like a glue guy,” he said. "I do all the little stuff. I play hard. I’m going to run hard. The way Ben pushes it, I feel like that’s right down my alley. The Sixers also worked out G-League wings Josh Huestis of the Austin Spurs and Rashad Vaughn and D.J. Hogg of the Delaware Blue Coats. The Blue Coats are the Sixers' G-League affiliate. The Sixers are at the beginning of a daunting stretch. Beginning Thursday night, they are playing 12 straight games against teams with winning records. Ten of those games will be on national television. “I’m excited,” Joel Embiid said. "We’re going to see how good we are and how good we can become -- or how bad we are. Stuff gets real Thursday when the Sixers face the Indiana Pacers at Bankers Life Fieldhouse. The Pacers beat the Phoenix Suns Tuesday night to improve to 29-14.